Maybe you’ve noticed, but I am having a moment with honey. Okok, a moment with honey and chamomile, but the two kind of go hand in hand in my opinion. It’s like a spring fling or something, honey just feels springish to me. Plus it’s light, sweet and kind of pretty too, I love it. AND I love it even more with these cakes. Oh these cakes, words can not describe just how good these are, and you know, they are semi-healthy too. No added sugar, just the honey, and they’re completely made with whole wheat. I mean, you even get some fruit in there too with those raspberries. Soo let’s be real, I feel like cakes are always a welcomed thing. I mean, I have yet to meet a person who does not like cake. Errr, well I have talked with some super, duper “healthy” people who claim they don’t like cake, but I think they may be fooling themselves, come on…doesn’t everyone like cake? 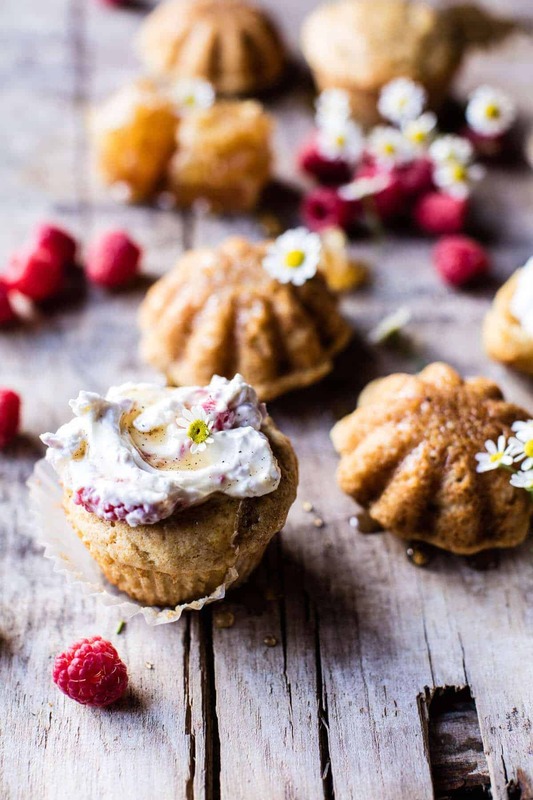 These cute little cakes are kind of a cross between a muffin and cake. 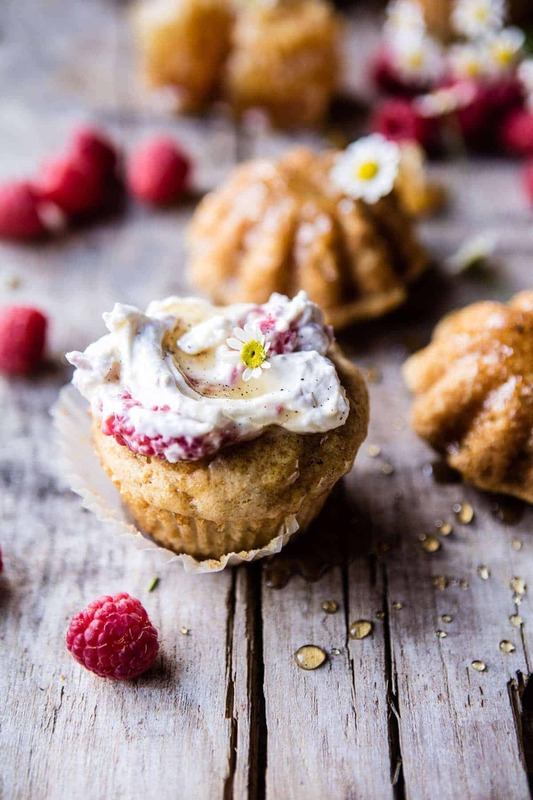 They definitely don’t feel as indulgent as cake, but the raspberry cream kind of makes them more cake-like than a muffin. Or at least I think so, but call them what you want, either way they are going to be good. So we start off with a simple chamomile honey syrup. Guys, it’s simple. You just boil water and honey together, add a bunch of chamomile tea bags, steep for like ten minutes and then done… chamomile syrup! This idea may or may not have been inspired by a recipe in the book. The book, the book, the book… I feel like I should give you all a quick update on the book. Oh boy, where to start. Basically it may be the death of me, and it will be a miracle if I get my manuscript in on time, BUT all that said, I am oddly liking the process. 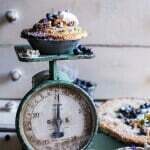 I created my recipe list months ago, so I am now on to testing, some of the recipes are getting a slight makeover, but I am liking the creative process that goes along with that. It’s crazy hard, stressful and basically I want to pull my hair out at least two to three times a week, but apparently that motivates me and keeps me going. I dunno. I am so weird. So once you’ve made the chamomile syrup, you then bake the honey cakes. 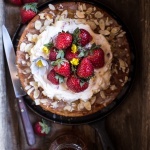 The cakes are a simple mix of honey, buttermilk, whole wheat flour and lots of vanilla. Once the cakes are baked. 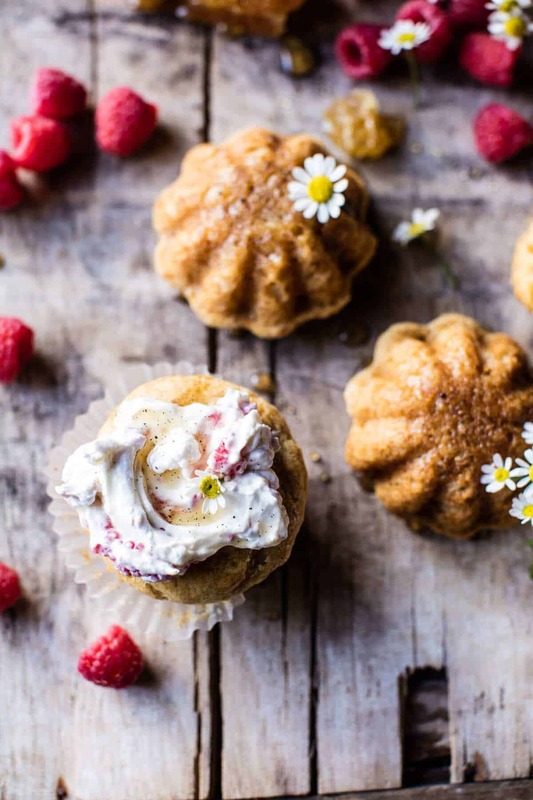 You’re literally going to want to down pour chamomile honey over each cake. This is the secret to these cakes. Lots and lots of the chamomile honey. It makes them sweet and sticky and well, PERFECT. Then you make things that much better by adding a raspberry rippled cream, complete with mascarpone cheese and fresh raspberries. Yes and yes. Lather the cream on top of those slightly warm cakes and EAT and EAT!! Perfect for a simple Tuesday treat right? 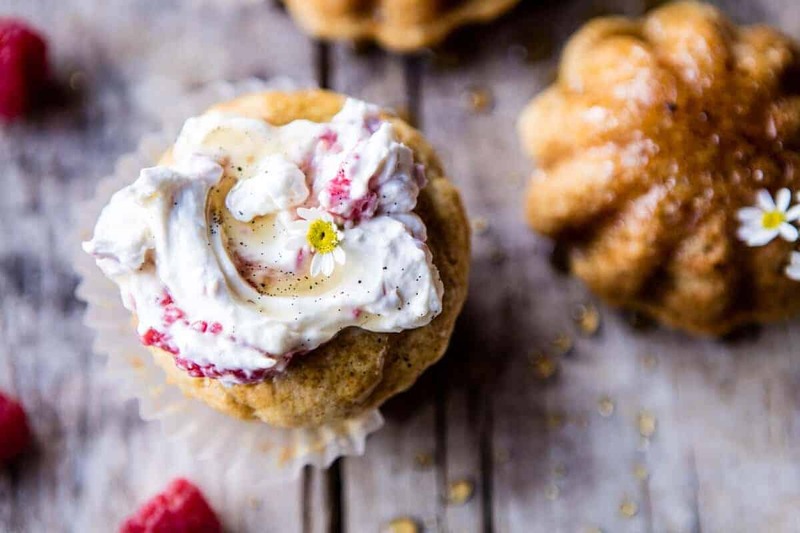 These cakes are really great for any occasion, but with Mother’s Day quickly approaching, I would say that you should probably plan to make them for your mom. Make sure to add the chamomile flowers for extra prettiness and style points!! Or you can just make the cakes now and eat them as a snack, a quick breakfast or a light dessert. But umm, ether way, just make them, cause they are so DELICIOUS! Ok, and done for they day. No added sugar, just the honey, and they're completely made with whole wheat. I mean, you even get some fruit in there too with those raspberries. Combine the water and honey in a small sauce pan and bring to a boil. Boil for 1-2 minutes and then remove from the heat and add the tea bags. Cover and steep for 10-15 minutes. Remove the tea bags and stir in the vanilla + salt. Let cool to room temperature. Preheat the oven to 350 degrees F. Line a 12 cup muffin tin with liners. In a mixing bowl, whisk together the buttermilk, canola oil, honey, eggs and vanilla until combined. Add the flour, baking powder, baking soda and salt. Mix until just combined and no lumps of flour remain, try not to over mix the batter though. Divide the batter between the 12 muffin cups, filling them up 3/4 of the way. Bake for 12-15 minutes or until a toothpick inserted into the center comes out clean. Allow the cakes to cool 5 minutes in the pan, remove and place on a plate. 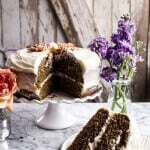 Drizzle each cake with the chamomile honey. 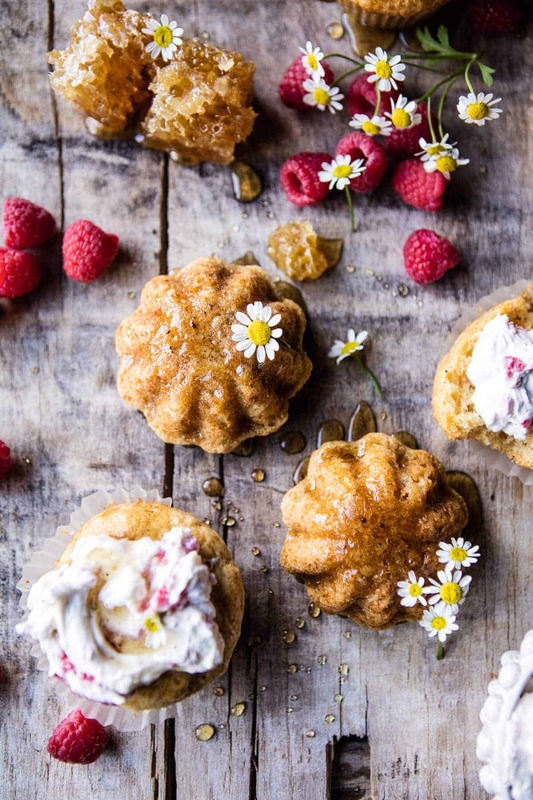 Serve with the raspberry ripple cream (recipe below). EAT! Add the heavy cream and mascarpone to a mixing bowl. Using an electric mixer, beat on high speed until soft peaks form, about 5 minutes. Beat in the powdered sugar and vanilla until just combined. Stir in the raspberries. But really?!? Don’t these look SOOO good?!? That honey. Those raspberries. YUM. that raspberry ripple cream looks and sounds amazing- that pop of red! 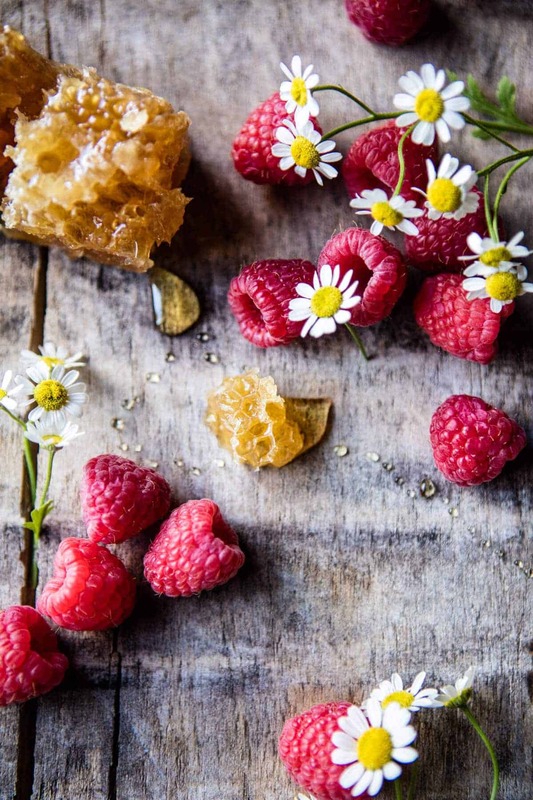 i’m not a huge fan of chamomile tea, but it seems like it would pair really nicely with honey and raspberry! Thanks Heather! I find that it works well with it!! I hope you do to?? These look so nice and spring-ey! 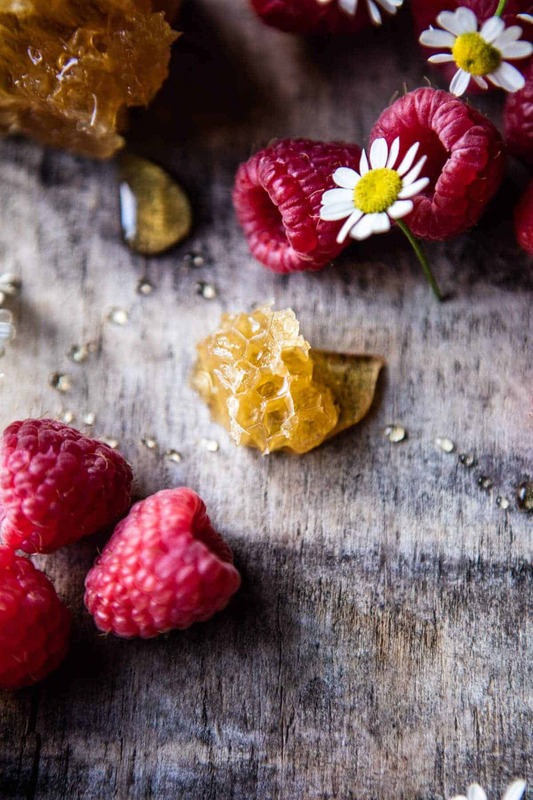 I can imagine the combination of honey, raspberries and chamomile is amazing! The Book… I can’t wait, I’ll be in line waiting to get it. (or order on Amazon?, lol) You may have moments when you stress out, but you clearly love what you do & it shows. Your photography is amazing & your food is incredible, you totally got this!!! Ah so nice of you Karen! Means so much hearing you guys like what i’m doing, so thank you so much!! Oh my word, these cakes are super-adorable. Love! I can’t wait for that book! I’m not on snapchat, but might have to be if that’s how I get sneak previews 🙂 Happy Tuesday Tieghan! Thank you!! The whole snapchat thing is new to me!! But its fun! And yes of course lots of sneak previews and inside on what messes I am making every day HAHA! So much fresh, Springy excitement going on here! Count me in for at least a dozen of these lovlies! 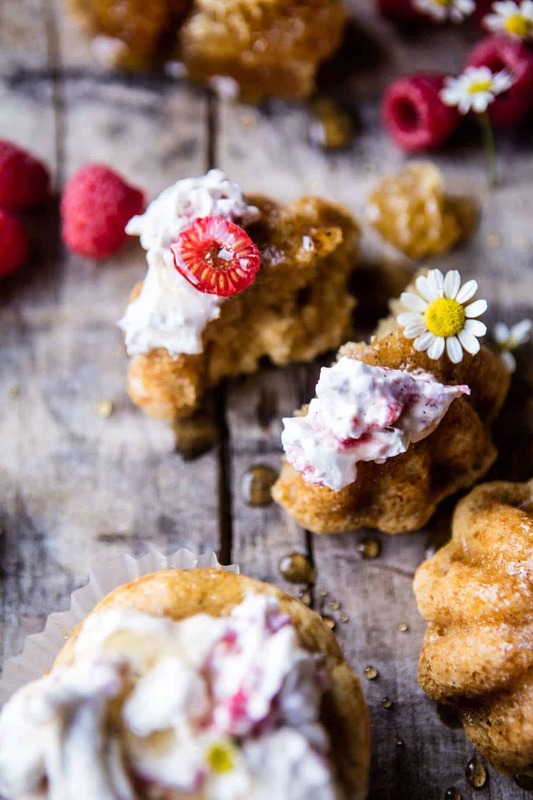 These are so pretty Tieghan – I love honey in baked goods, I’m just not so keen on having it raw, so this is perfect for me. YAY Love hearing that!! Thanks Angela! Looks yummy! Don’t think I have had this tea. I am sure my husband ha but I am not much of a tea drinker so don’t know the taste. I do like peach tea. HA!! I love using whole wheat and honey in muffins so this has to be good. Thanks Charlotte, i hope you get to try it! Maybe even the tea? who knows! Maybe you like it!! YAY Im always making double batches? Thanks so much Lynne! I hope it lives up to expectations!!?? they look adorable and delightful!!! What?? Some people don’t like cake?! That’s crazy talk Tieghan! These are adorable and sound delicious. Who doesn’t like an adorable and delicious cake?! Can’t wait for your book! Counting the days! HAHA Right!? I agree! but they’re out there! Thank you Mary Ann!? Honey cakes probably taste amazing! I love that these are made with whole wheat flour to be slightly healthier!! Anyways, I bet recipe testing for the book is so much fun! Lots of yummy food coming your way! Thanks Cassie!! Your comments always put a smile on my face!!? I need this in my life right now, Tieghan! These honey cakes are so gorgeous! Absolutely perfect for spring! And I loved that you used chamomile! I feel we don’t see it enough in our cooking and baking.I really really can’t wait to try these! Thank you Andrea!! I agree!! Its so delicious! I hope you love them!? 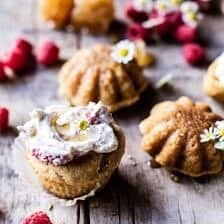 These sound and look beautiful, I really like syrup soaked cakes, they’re so moist and flavourful and the chamomile and honey go so well together. I’ve also got a BIG thing for mascarpone cream, it is so addictive! Every weekend i used to pay a quick visit this web site, as i want enjoyment, since this this site conations genuinely good funny information too. This looks amazing and I’m so glad you’re having a moment with honey because I feel like my whole life is me having a moment with honey. I honestly turn into Baloo from Jungle Book whenever it’s around! Can’t wait to give this recipe a try! Thanks so am i!! I hope you love it Caitlin!! These are such beautiful little cakes!!! Hi there! 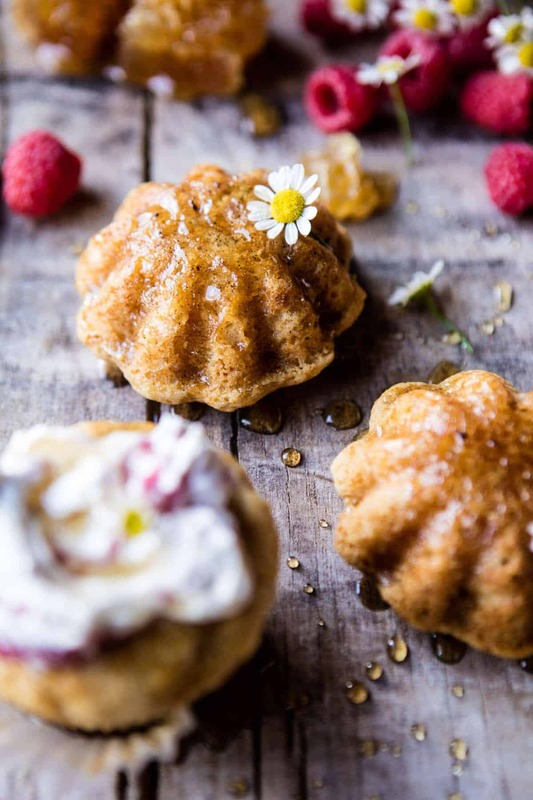 I am making these lovely little honey cakes and had a question about the ripple cream. I am making a double batch and taking some to work and some to my church group. Will it be okay to make the ripple cream ahead and just refrigerate? Thanks so much! Can’t wait to taste these! HI Lindsey!! Yes, you can make the cream up to a day in advance. Some of the honey juices might separate, but sure it before you serve. Hope that cakes are a hit! Thanks!! YAY I am too! Thanks Laura!! Our delight that I will do here at home. These look so wonderful! 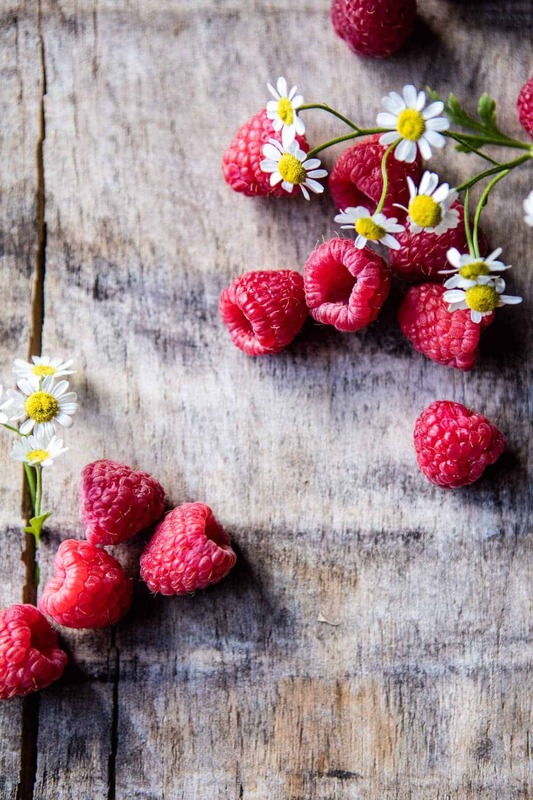 What would be a good fruit to use in place of the raspberries? Our family just doesn’t like them very much. Strawberries? Blackberries? Thanks! 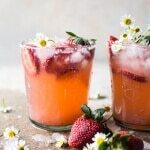 Can’t wait to make them for Mother’s Day! Thank you!! Yes, strawberries and or blackberries would be delicious! So, I made these yesterday. First thing I need to point out– the directions for the ripple cream don’t match its ingredients. It says to add vanilla yet there is no vanilla listed under the raspberry ripple cream (which is sort of skewed btw). I tossed in a splash because it did need a little something. I’m sorry, but I didn’t particularly care for the cakes. Possibly my error (I didn’t forget anything! ), but the texture and taste were quite off. The syrup didn’t help either. =( But the ripple cream was really good! These are adorable! Love your photos!! They look so good! Thank you Eden!! So nice! Hope you can try them!! Awh wow, i’m so happy you guys liked it so much (: Thank you!